In today’s episode, Phoenix-based head of The PMO Squad, Joe Pusz (also known in the PM community as PMO Joe) will share his knowledge on Mentorship with us. In addition to his deep experience on the topic, his organization partners with Vets to PM, a mentorship program which pairs US Veterans with experienced PMs to help them enter the PM field. 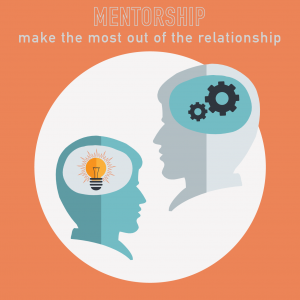 PMO Joe is a master of Mentorship, and helps us understand the benefits to both the Mentor and Mentee, and shares some valuable tips for getting engaged. As Founder & President of THE PMO SQUAD, Joe is the driving force and initial SQUAD member. THE PMO SQUAD focuses exclusively on Project Management Solutions covering client needs with Project Management Resources, Processes, and Technology. Known as PMO JOE, he leverages his experience from leading corporate PMOs to provide services which satisfy real world Project Management needs. Joe has lead Project Management functions in several industries including Aerospace & Defense, Aviation, Finance, Healthcare, and Technology organizations with budgets up to $600MM+. Joe is also a strong supporter of Veterans services which lead to starting the Veterans Project Management Mentoring Program which pairs Veterans with PMP Mentors across the United States. JOIN TODAY, AND GET IMMEDIATE ACCESS TO TAKE THE QUIZ! Members get unlimited access to take the quizzes for our podcasts. Not only, that, but you also get a certificate, we’ll upload your PDU’s to PMI, and you get lots of other great benefits – click here for details on becoming a member.